Imagine Possibilities’ horticultural therapy program, headed by our gardener and therapeutic support specialist Peg Falconer, aims to get participants engaged in the natural world around them, as well as promote a sense of responsibility and accomplishment as participants help nurture plants and wildlife in our ever-expanding sensory garden. The garden is built with participants in mind, featuring raised beds and a wheelchair-accessible path throughout so that everyone can get involved. 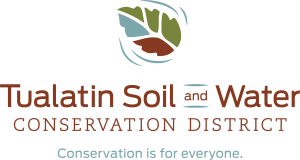 Throughout the year, participants plant and raise seedlings, water and weed the garden, care for the plants, and harvest their fruits and vegetables to use in cooking groups. 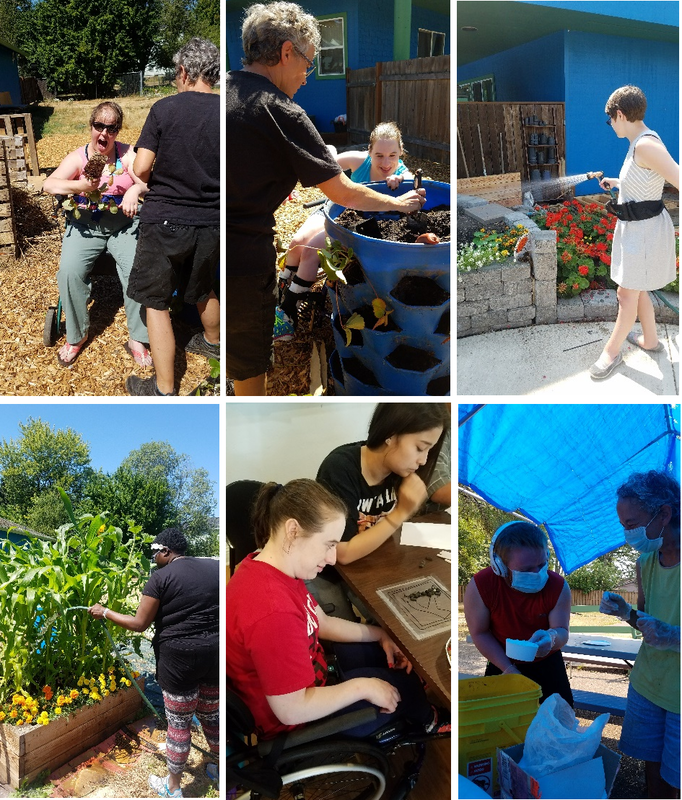 Horticulture Therapy is made possible by community support, including individual donors and partnering organizations, such as the Tualatin Soil and Water Conservation District and the Hardy Plant Society of Oregon. Thank you to everyone who makes this one of a kind program possible!